Over the past year, the 15 existing Central County Fire & Rescue (CCFR) firefighter-paramedics have completed more than 100 hours of paramedic training to update their emergency medical skills as CCFR transitions to providing advanced life support (ALS) care. A group of these paramedics had the opportunity to receive hands-on cadaver training from emergency medical physicians at the Saint Louis University School of Medicine. 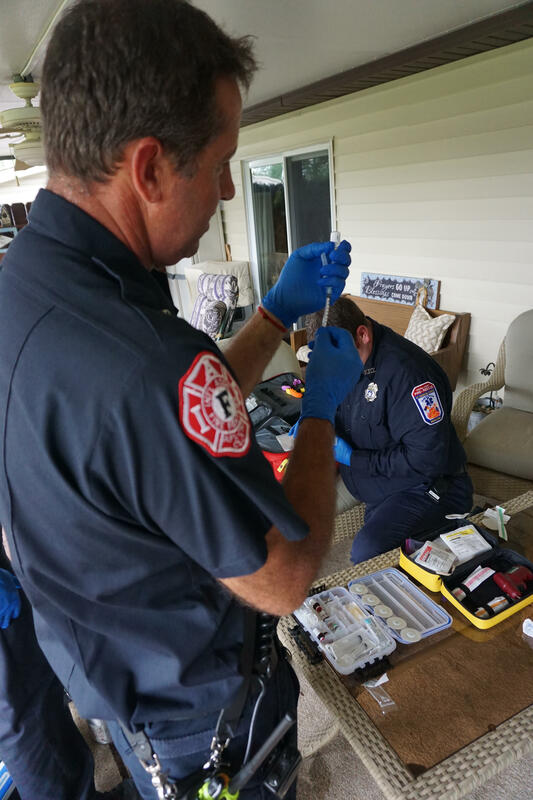 During the training the firefighter-paramedics sharpened their medical skills and practiced techniques that can save lives.